So begins another fabulous week. 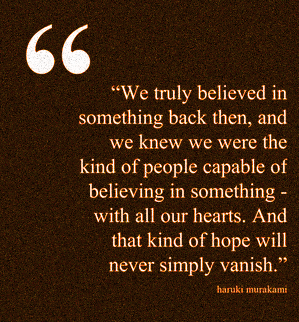 To inspire a maximally insightful time, this Monday Musing comes from literary legend, Haruki Murakami. The quote is taken from his fantastic work, Colorless Tsukuru Tazaki and His Years of Pilgrimage. Look out for a review later this week.